For many pregnant women, trusting yourself and your baby to an hospital is very crucial and that too if it is your first time, the panic that you undergo on and before the delivery cannot be said in words. I remember how nervous I was when symptoms of stomach or back pain comes and goes, questions that kept rolling in conversations between family and well-wishers regarding movement of baby and sufficient amounts of water in womb, diets that does not harm the well-being of the baby in the womb, the position of your placenta and what not. Each pregnancy is different for every women. Some women might have gestational diabetes and would need extra care, some women might have too heavy baby or underweight baby and some women needing additional care for twins or triplets. It is a phase where a woman gets to know a lot of their baby and their body. Compared to your mom/aunt years ago, the current scenario is that you know every details of your baby's health and your current health including what to expect during your delivery and after child-birth. The world has changed now and many educated women wants to know many technical terms in their scan itself. They also go to an extend asking questions about the child's health in their womb and what diet should be followed to keep themselves fit for a normal delivery. For many new moms, it a boon given by technology so that they can be prepared and spend necessary time to recover their health and their baby to the fullest. This was not the case decades ago wherein technology couldn't give details of what it could give now. For this, a clean, hygienic environment of the hospital with advanced equipment is as important as an experienced and transparent gynaecologist who is prepared to accompany your journey of childbirth that would make your childbirth a bliss. 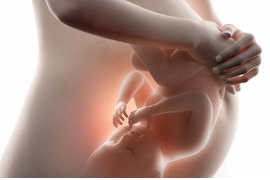 During pregnancy, it is not new hearing recommendations of hospitals from family, friends and relatives. Everywhere you go, you are entitled to get free advice on the quality of hospitals, experiences shared by your friends during their own stay, financial expenditure to be expected during your stay, the proximity of distance between your home and hospital and available support services all which helps you to round off to that one hospital that might suit your need. Apart from all the above, an experienced gynaecologist who knows what she says and does is important. The role played by doctors, nurses, radiologist and laboratory technicians are the very deciding factor to choose a hospital for your delivery and your next. Recently while visiting a friend, I came to hear one hospital name "Rainbow Hospital" that was being repeated in a conversation for childbirth and childcare. It is a tertiary children's hospital with the sub specialities including neurology, nephrology, gastroenterology, haematology, oncology, endocrinology and advanced paediatric surgery, all under one roof. The cost of delivery which plays an important role in choosing a hospital comes in a package including normal and C-section. Depending on your needs, you can opt for one package that would help you to get the best of what you want. Rainbow Children's hospital also offers "online services" for booking appointment, a patient portal (with unique patient ID) a healthcare-related online applications wherein you can access your personal health information. You can also book an appointment with your preferred doctor depending upon his availability using "Find doctor" option and you will are receive a confirmation SMS if the slot is booked. This online appointment booking system is an effort to streamline Outpatient Consultations. To get a quality care during delivery is the Birthright of your baby and very mom strives for it. Not so surprisingly, Birthright in Rainbow Hospital is not just in a name but support services that include Pregnancy Counselling, Fertility services, Child Birth Preparation Classes, Breast Feeding Support, Post-Partum Care, Nutrition/Dietary Support and Yoga/Fitness Counselling. If you have used or heard others use, please share your experiences of this hospital. Thanks for the wonderful information on Rainbow Children Hospital. Here in USA, it works out slightly different. Here, Insurance Companies play a major role. The patients have to choose a doctor/hospital within their insurance companies "network". Of course, most of the insurance companies have a wide selection available. Here is a funny story. A friend of mine recently underwent kidney transplant. His insurance company did not cover UCSF (University of California San Francisco) Hospital but it covered Stanford Hospital. Good and useful article Uma.. really useful for expectant mothers..